The New Year’s holiday falls on May 1st for Nordic athletes. We are almost two months into preparations for the winter ahead. 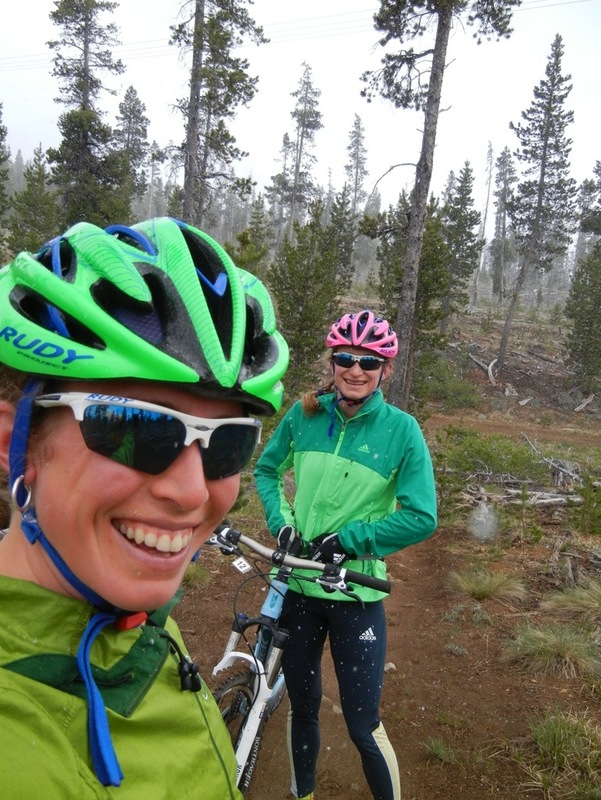 Snowy mountain biking with teammate Hannah. 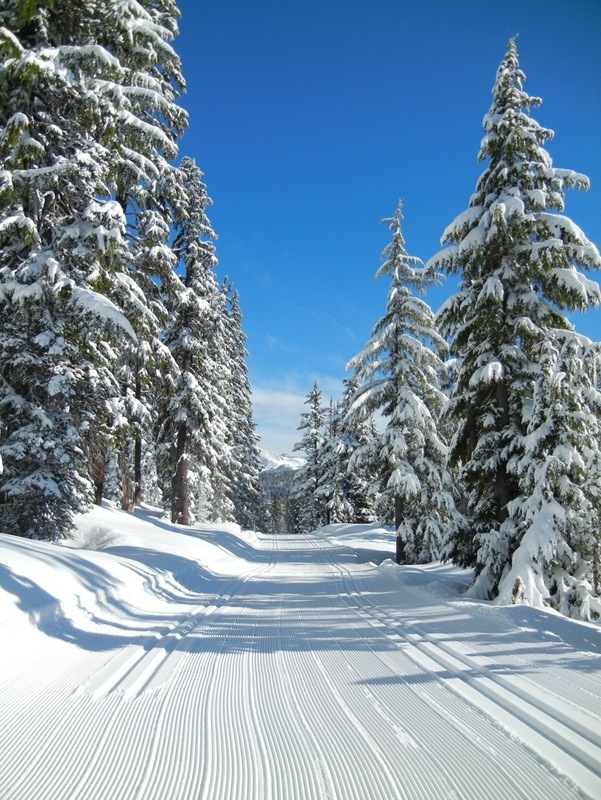 A perfect skiing day during a National Team camp in Bend, Oregon in May. 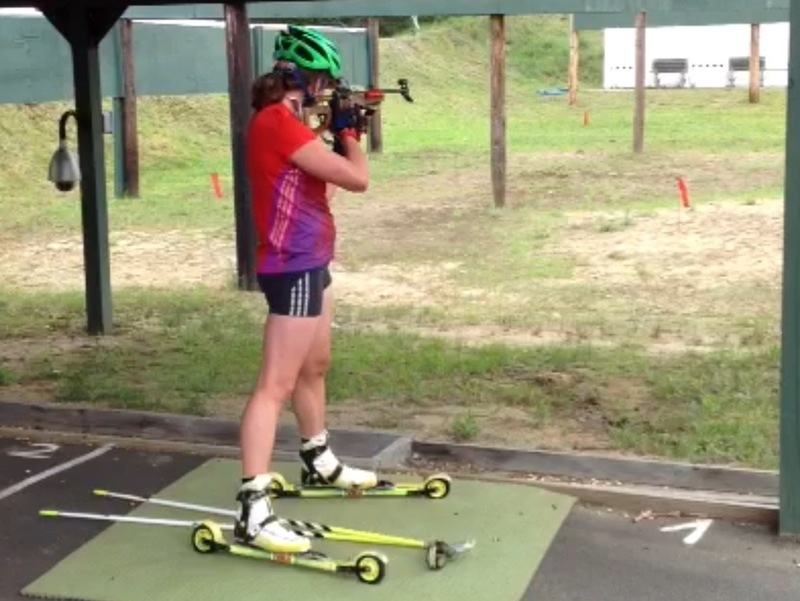 Shooting during a June rollerski time trial at the team’s headquarters in Lake Placid, NY. The roller loop at the range was expanded last fall giving us twice as much terrain for “combo” training (shooting with rollerskiing). And of course balancing out all the biathlon training with a variety of spring work projects back home in Craftsbury, VT.
Hollywood! I was invited to LA along with my teammates Tim Burke and Lowell Bailey for a media day put on by NBC and the US Olympic Committee. (Photo credit: Linda Jager). We joined athletes representing a variety of winter sports for a day of TV interviews and photo shoots in preparation for next winter’s Olympic coverage. I don’t think I have ever talked so much in one day before! It was neat to see how TV and movie sets work behind the scenes, but I felt very much out of my natural element surrounded by make-up artists and spotlights. It was a valuable experience for several reasons. More than anything, I think the trip to LA made me realize that the Olympics and associated hype is not something I can just tip toe around this year. I had wanted to tip toe around it. Approaching a race as a high profile athlete is a very different experience than being an underdog. I admire the underdogs and I feel comfortable in that role. My biggest athletic breakthroughs have come when I have been able to “sneak up” on success; quietly putting in the work but flying under the radar. However, racing doesn’t always let you do that. Any Olympic hopeful is going to be a high profile athlete, at least for a few weeks. Part of the fun and challenge of this year is embracing that. As one of my teammates advised me earlier this year, “you’ve just got to own it.” Already this spring and summer, the Olympics have been coming up in conversations several times every day- with my team, with friends, with family, with curious friends of friends, and sometimes reporters. I love talking about biathlon and describing it to people not familiar with it. However, for most of us athletes, it is a strange experience to deal with this sudden spike of interest. We still enjoy just being ourselves sometimes and having interests and friends not related to our sport. 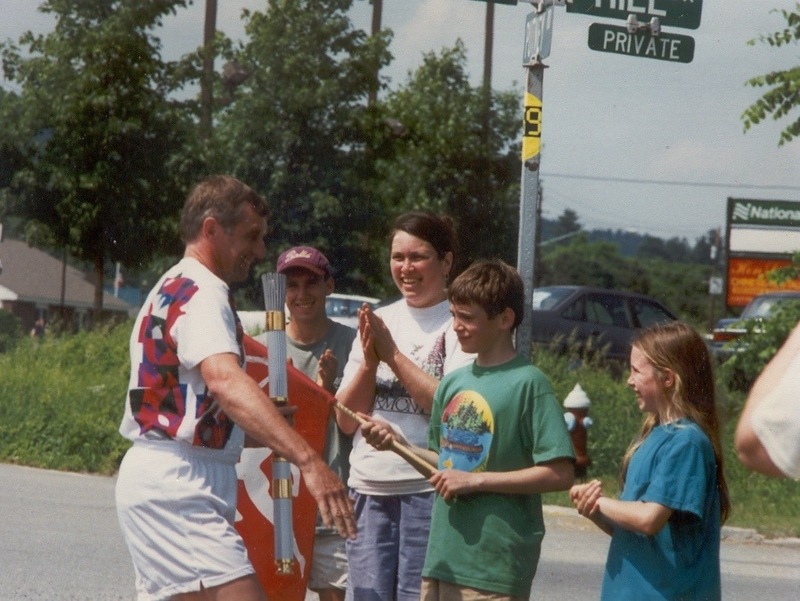 My father after running a leg of the 1996 Atlanta Olympic Torch Relay through his hometown of Brattleboro, VT. Our family went down to cheer him on. My brothers and I were taught to ski in our backyard as soon as we could walk. By the time I was five, I was entering Bill Koch youth “lollipop” races, so named because every participant was awarded a lollipop at the finish. 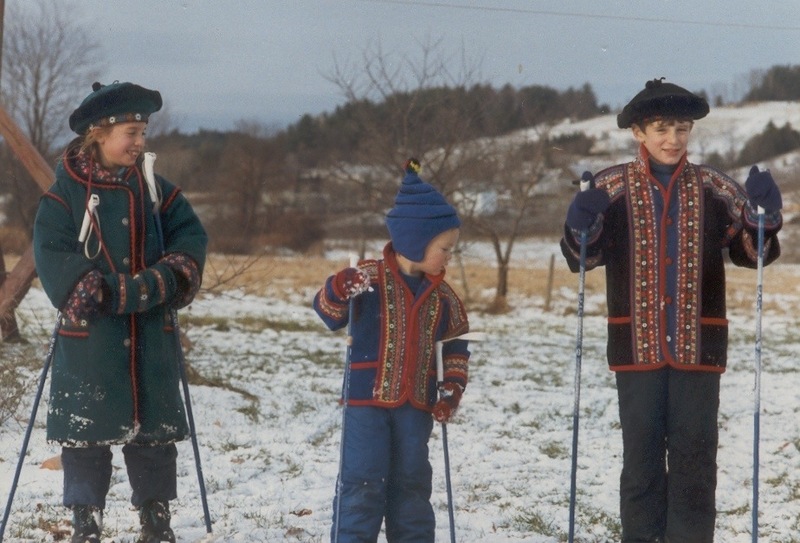 I grew up in the Craftsbury Nordic Ski Club with an awesome group of kids. We did all sorts of fun outdoors adventures. Our competitiveness with each other pushed us all to become better athletes. 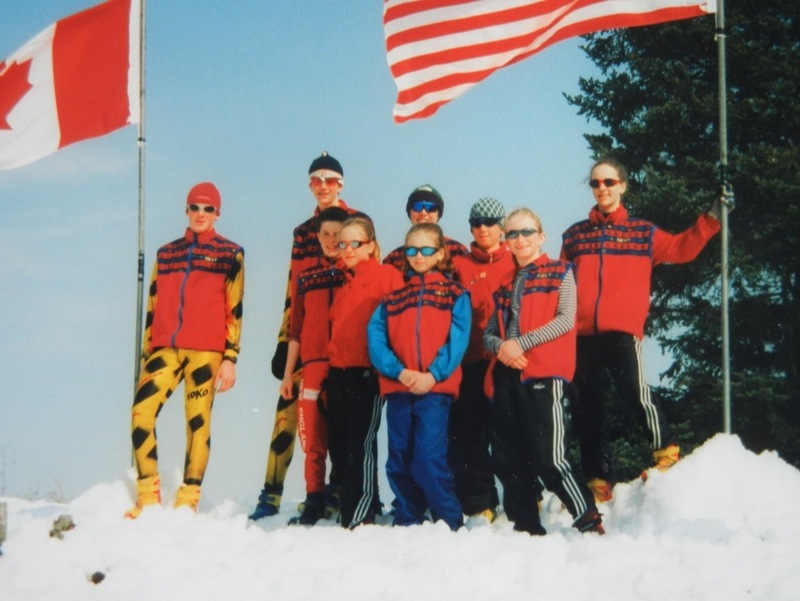 Pictured above are the Craftsbury juniors competing in Quebec in 2000. Can any of you Craftsbury folks pick out 5 current Green Racing Project members or Outdoor Center staff? I went through my first Olympic trials in 2010, and it was one of the most difficult things I have ever done. As an athlete, it can be a little scary to set high goals for yourself, goals that you might not be able to reach. I struggled with all sorts of expectations. Many were self imposed, several were external. I badly wanted the chance to compete in Vancouver. My goal for 2010 was similiar to my goal this time around: I’m not interested in simply making the Olympic team, my goal is to make the team and then perform my best there. Before Vancouver, we had a large team of women vying for a few spots, and even though we were all on good terms and respectful of each other, I could feel extra tension and pressure during the months beforehand. During the final trials, I didn’t make the cut. I was still a very inexperienced biathlete, and despite believing in myself, despite having the support of family and friends, and despite working hard, I didn’t achieve my goals in 2010. In a lot of ways, I wasn’t ready yet. I believe this year will be different. We are going to have a very special team this year. The other biathlete hopefuls for Team USA are managing similar Olympic-year pressures and expectations. They have also spent several years committing 100% of their time, energy and resources towards becoming the best biathletes they can. Everybody on the national team wants not only to go to Sochi but also to perform their best there. That is why US Biathlon’s results have been on an upward trajectory the last few years- Tim took home a historic silver medal at the 2013 World Championships and our relay results climb closer to the podium every year. 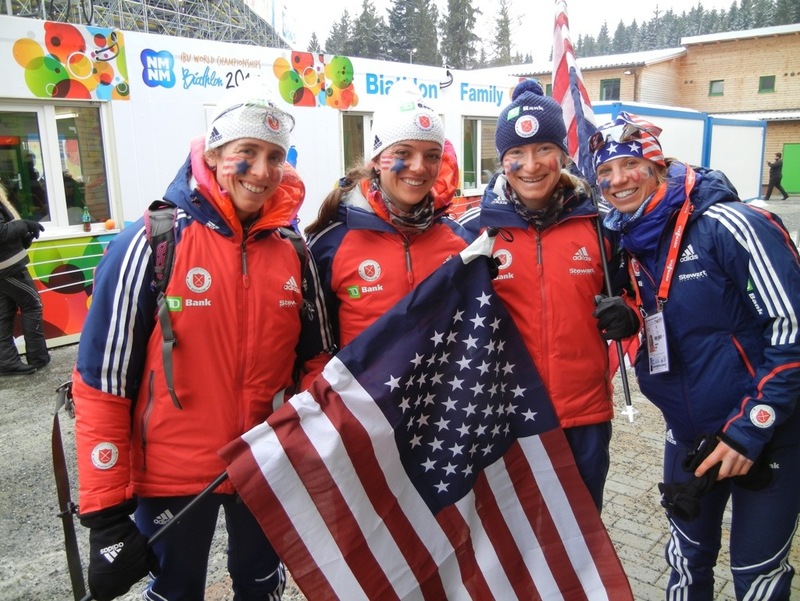 Our women’s relay team achieved a top ten finish in 2013 and we know we are still capable of more. To do this, we need every individual performing at their highest potential. We push each other in practice all year long in order to bring out each individual’s best, and we know we must be there for each other during this challenging but exciting year. We are a strong team. Unfortunately free internet is very scarce over here in the UK. At our hotel, it is 5 pounds for an hour of internet, which is just not worth it, no matter how much I want to stay connected with all of you. So right now, we are at a starbucks by the race course using the free wi-fi! Thank god for Starbucks. Dan doesn’t like coffee, but he loves internet! So far the trip has gone close to according to plan. Our boats are here and in working order. I think Hugh and I are both satisfied that our boats will not be the limiting factor in our performance this weekend. The biggest thing we are trying to get under control right now is our fatigue from the travel. That will continue to take its toll for the next couple of days but hopefully by the time racing starts we will be able to unleash some good speed. 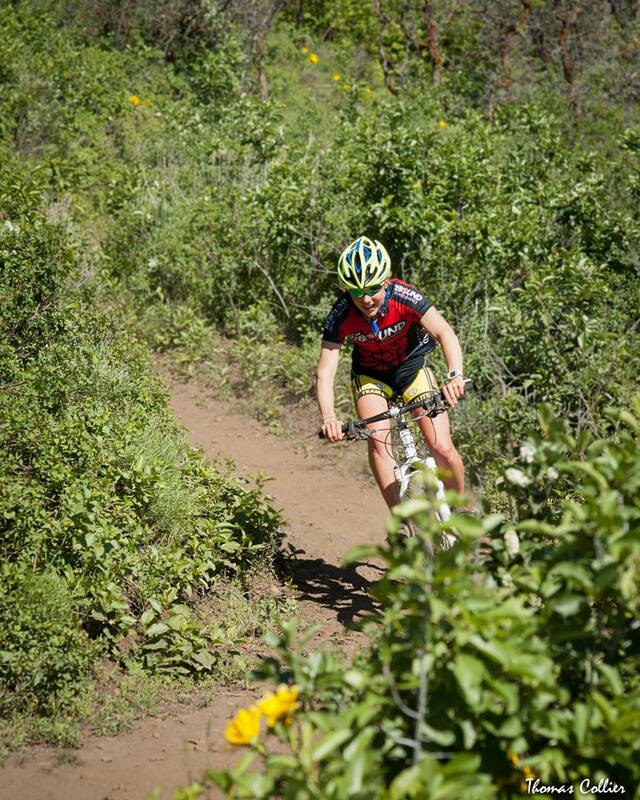 I would expect our bodies to feel better and better as the racing goes on. Other than that, its been awesome just being around the World Rowing atmosphere. Great crews everywhere you look. Its just fun to be part of it. I like to look around and learn from what the established crews are doing and how they comport themselves. Especially the New Zealanders and the Aussies. They are very organized and confident. The aussies are especially loose in their demeanor and I love it! I just want to go tell some jokes with those guys and take some strokes. They are always having a good time. The highlight for me so far was watching the NZL m4x come off the water and seeing my idol, Olympic champion Nathan Cohen, step out of the boat and start doing push ups!! I do that after every row and I was going bonkers when I saw him do that! I am going to do even more push ups now! Nathan Cohen’s partner and Olympic champion in the M2x, Joe Sullivan, is in the M1x against me this week. It would be amazing to race against him. All year I have tried to model myself after those two guys and it would be surreal to line up across from him. Anyways, thats about all I have time for at the moment. 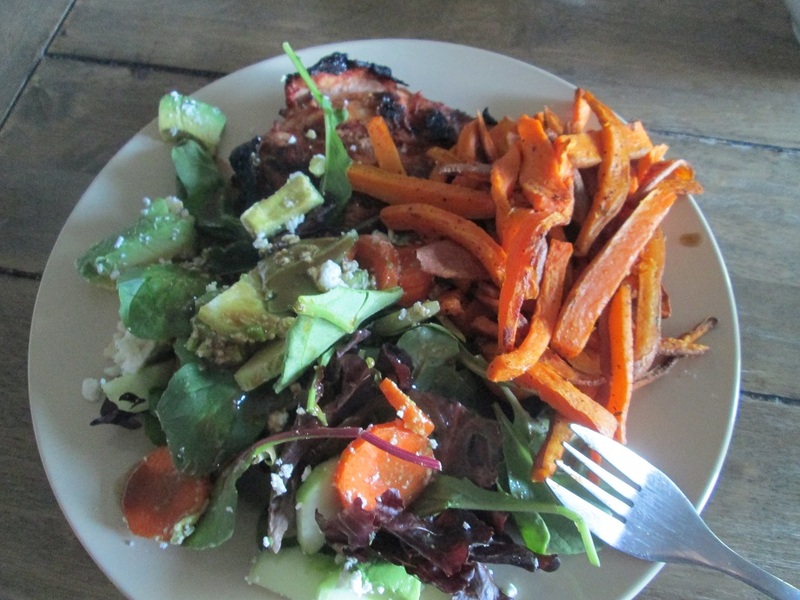 We miss Craftsbury of course, but life is good over here as well. Racing starts on Friday morning, so we have three more rows until we go to full speed. GO GRP, GO USA! This year the Farm Animals team has started raising animals for the center. The team decided to start with laying hens, pigs, and turkeys for this summer. Our mission as a team is to provide the center with quality eggs, pork, and turkey grown on center land. All of the animals are pastured and rotated every couple days to provide them with a fresh grazing area while keeping them healthy at the same time. Having never raised animals at the center before, we planned to have between 50 and 70 layers, but due to small local flocks we were only able to get 37. 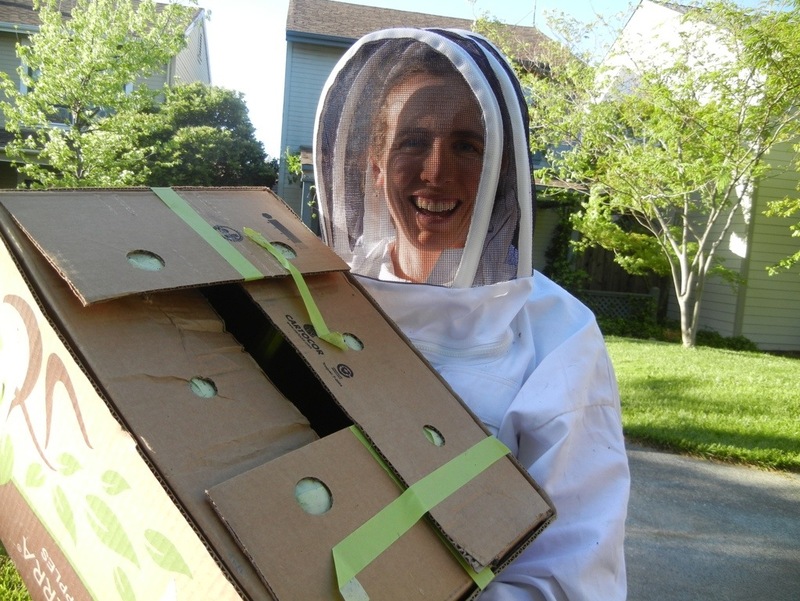 We picked up our laying hens on May 7th from a local farm in Hardwick, Vermont. Emily and Alex framing in a front wall on the egg-mobile! We wanted to build an “egg-mobile” that could be moved easily while being large enough to have an option of expanding the flock in future years. We found an old silage wagon that was for sale in the area and determined that it would be fairly easy to turn it into a predator-proof coop! Mike painting the egg-mobile white to keep the chickens cool inside! Once we had the chickens happily in the field our attention turned to the pigs who were due to arrive shortly. The egg-mobile can be seen at “Gerry’s” in the fields above the house! We picked up our pigs from LeBlanc Family Farm in East Hardwick, Vermont on May 17th. We got 10 pigs; 5 from an 11 week old litter, and 5 from an 8 week litter. We built two shelter that are 8′ by 8′ to keep the pigs out of the weather. They will be moved around from pasture to pasture with the pigs. The frames of the two shelters. The finished shelters will have 3 walls and metal roofing! When the pigs first arrived they were not electric fence trained. We put them into a small pen that was between the house and a stone wall. On the inside of the house and wall we put strands of electric fence. This way when the pigs touched the fence they would back up instead of going forward, which taught them to always stay inside the electric fencing. They stayed in this pen for about a week, just to make sure they knew the rules before being let out into the pasture. The pigs getting electric fence trained in their small pen! Pig troughs cost quite a bit of money, so we built some using 2″x 12″ boards. The end walls are 6′ long to make sure the pigs can’t flip the trough over. Once the trough was built we soaked them with water so the wood had a chance to swell and then be able to hold water without leaking. The pigs getting used to the electric fencing and new troughs! The pigs sleeping inside of one of their new houses! After successfully learning to obey they electric fence, the pigs were let out into their new pasture. They are moved onto a new piece of ground every week. Both the chicken fencing and pig fencing run off solar electric fencing systems. Emily leading the pigs around their torn up pasture. 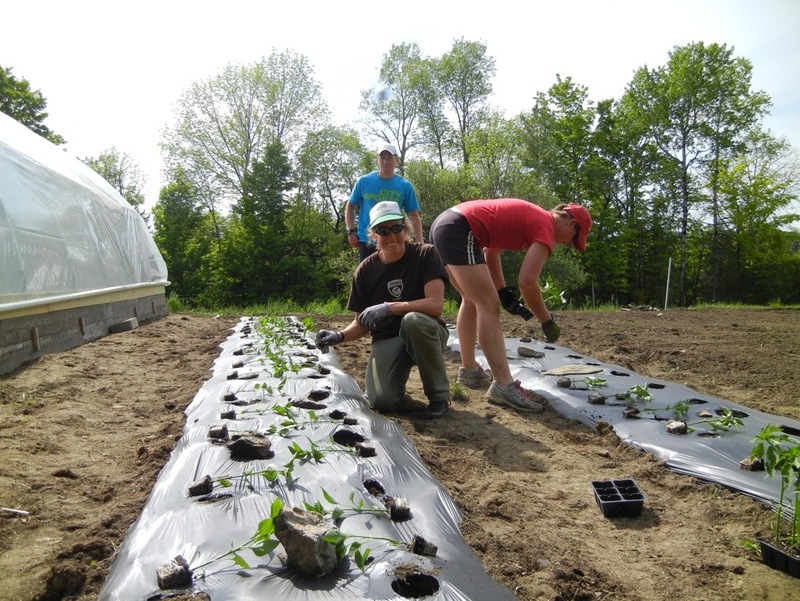 10 pigs can act as a great cultivator! Once the pigs have completely turned up their pasture we move them onto a new area. This keeps them happy, healthy, and helps us increase soil fertility in the center’s fields! The pigs are growing very quickly. This is their first day on this piece of ground, soon it will be all torn up! Several days ago our turkeys arrived at the center. Until they feather out and can produce their own heat, they will be living the back of the shop! Once they have feathers, they will join the rest of the animals in the fields! Turkeys are very vulnerable in their first weeks, so we kept a warm light on them! Now they are growing fast and will be outside in a couple weeks time! After the first training camp of the year in Bend, Oregon almost the entire US ski team flew to Park City for a testing camp with an additional training camp afterward. Everyone chose how long they wanted to stay in Park City with some opting for a long altitude camp and others choosing a shorter block. 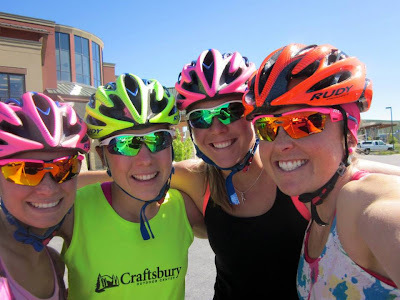 Having grown up at low altitude, I have always done the majority of my summer training at sea level and decided to stick to a similar plan this year and only spent a week in Park City. That time flew by and I easily could have stayed much longer. 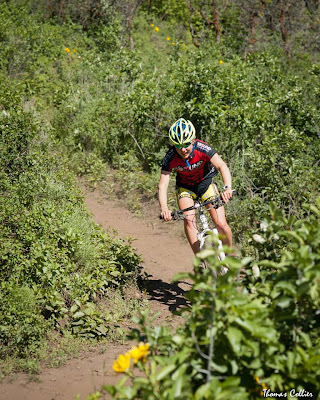 When we arrived in Park City we had an easy weekend training to recover from the training in Bend. After some rainy weather in Bend, the sunshine felt amazing and everyone loved the big boost of Vitamin D. There were some interesting “tan” lines when we showed up at the USSA Center of Excellence for testing on Monday morning. We test twice a year in Park City and it involves two very busy days. I was pretty overwhelmed the first time that I did it but luckily it has begun to feel more normal. The tests include blood tests, physicals, functional movement screening to monitor mobility and strength, body compostion, hemoglobin mass, and a classic VO2max and a double pole max test on the rollerski treadmill. For the VO2Max tests, the treadmill stays at a constant speed but each minute the grade is increased. The test starts out super easy but then quickly becomes steeper and harder until you’re barely hanging on. For me there is always a yo-yo effect as I slide back on the treadmill and then claw my way back toward the front and then slide back once again. Eventually the treadmill always wins and spits you off the back. Luckily you’re wearing a harness and get a nice little swing before landing in a crumpled ball on the stopped treadmill. The whole fun experience takes about 11 minutes. 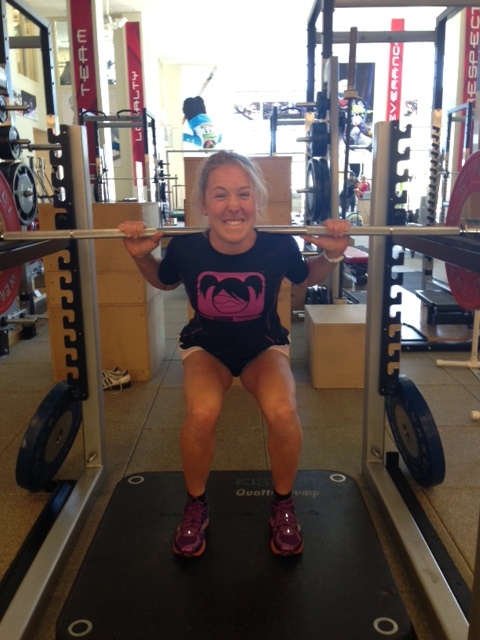 I also had the chance to work closely with Michael Naprelasky, a USST strength coach. He taught Sophie Caldwell and I how to power clean and I’m looking forward to adding some Olympic lifting into my strength plan. It was really nice to have a buddy to share the laughs and terror as we tried to learn proper technique with the heavy weights and lifts. Every time I’m in Park City I’m very impressed with the number of resources available to USST athletes. Everything you need for hard training and fast recovery is at your disposal. My Achilles tendon flared up when I arrived in Park City and I was able to immediately start working with one of the USST physical therapists and catch the problem before it became a big deal. A huge thanks to Adam Perreault for all his work which included some very painful and even bruising calf and tendon massages necessary to break up the inflammation and muscle tightness. The COE is actually a great place to be injured and I took advantage of some new modes of training while I was there including running on the Alter-G, a reduced gravity treadmill designed to lower the impact on your muscles and joints. You wear neoprene shorts which zip into a bubble enclosing the treadmill. The bubble inflates and lifts you up by your shorts so you have a semi wedgie the entire time which isn’t the most comfortable. But once you get used to that, it’s kind of a fun experience because it is easy to run fast! Since I was running at 50% bodyweight, I could casually maintain a 6 minute per mile pace and played around with turning up the speed to really get my legs spinning. With the Achilles issue, I had to take some time off from running and rollerskiing and create more variety in my training. 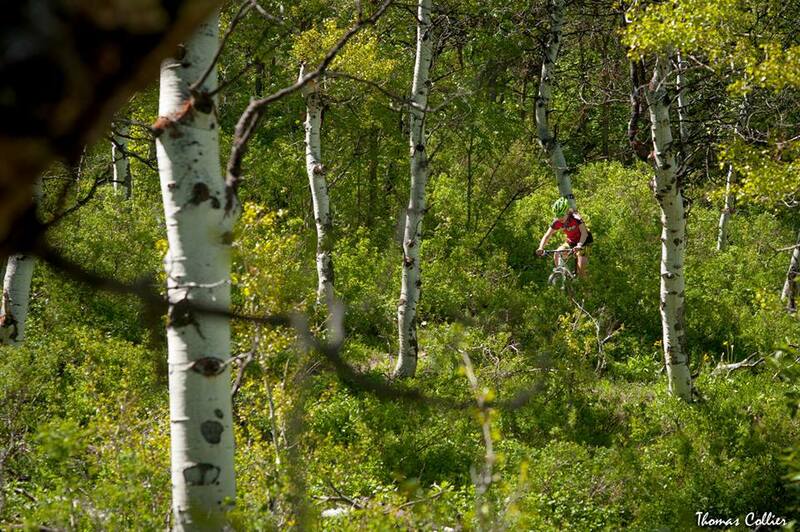 It was the perfect opportunity to get out on a mountain bike and explore more of Park City’s extensive trail system. Tom Collier, a friend from college, was an awesome guide and even took off time from work to ride with me. Or maybe I should say he changed his office location because sometimes he would ride ahead of me on the descents and check email on his phone while I caught up. And while it may seem like we were only training, we also had plenty of time to hang out and the weather was perfect for relaxing outside by the pool or on the deck. We went to a Salt Lake City Bee’s game, the triple A baseball team in SLC and gave everything we had cheering for the home team. They gave up 12 runs in the 7th inning though so I can’t say we were too successful. Throughout the week we cooked delicious dinners a team including a birthday dinner for Matt Whitcomb’s 35th birthday where Sophie and Jessie Diggins made sausage risotto and chocolate cupcakes inside a chocolate chip cookie shell. 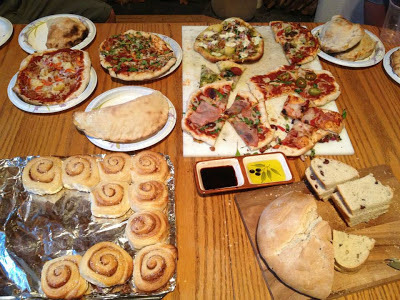 We also had a delicious pizza dinner at the home of Toni Adams and her family where Noah Hoffman lives. I’m back in Craftsbury now where the weather has not been quite as sunny yet but after a week of sleeping at 8300′ and training at around 7000′, sea level oxygen sure feels like quite a treat!